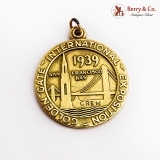 Vintage Relief Golden Gate International Exposition 1939 San Francisco Bay Crew Medallion Pendant 10K Gold. 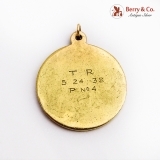 Inscribed "T. R. 5 24 38 P No. 4" on the back. 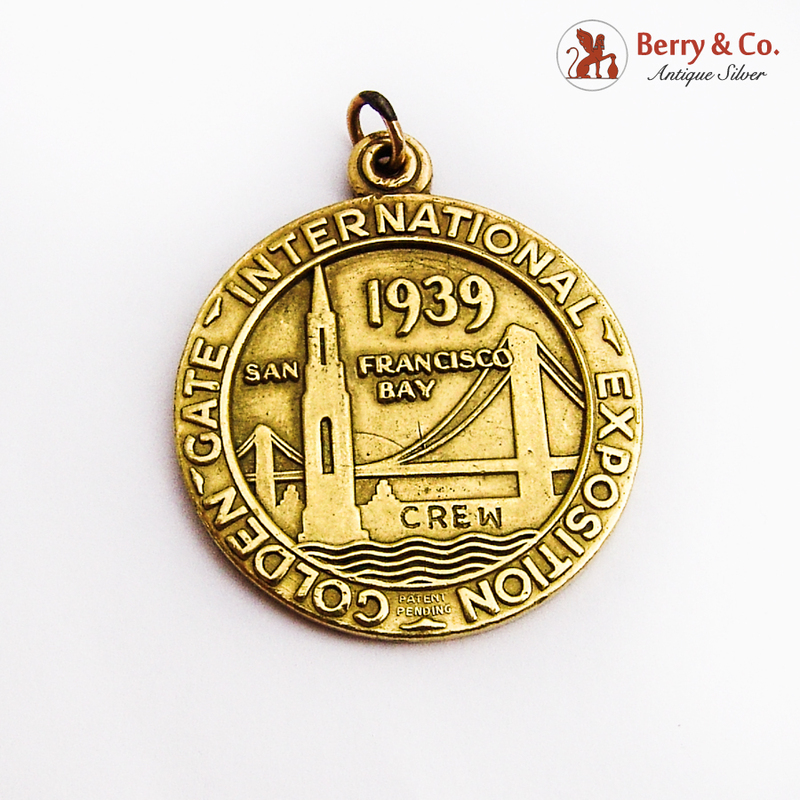 This darling medallion is 1 1/4" in diameter and weighs 13.2 grams.